Farm land located within cities and villages in most counties would qualify for special valuation under a bill heard by the Revenue Committee Jan. 19. Under current law, agricultural or horticultural land may be valued at 75 percent of its value for property tax purposes if it is located outside the boundaries of a sanitary improvement district, city or village. Land inside the boundaries of a city or village also may qualify for the special valuation if it is subject to a conservation or preservation easement. Under LB772, sponsored by Fremont Sen. Lynne Walz, those qualifications would continue to apply only to counties with populations of 100,000 or more: Douglas, Lancaster and Sarpy. In counties with fewer than 100,000 inhabitants, agricultural or horticultural land would qualify for the special valuation if it is located outside the boundaries of an SID. Walz said this change would help Fremont, which is growing rapidly with the arrival of a Costco chicken processing plant and other businesses. 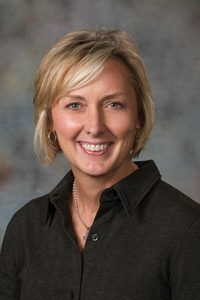 A recent housing study found that Dodge County will need 5,000 new housing units in the next few years, she said, and many already are under construction. As the city has grown, it has surrounded areas of farmland that currently qualify for the special valuation. If those areas were annexed by the city to be developed, Walz said, landowners would be forced to pay a higher commercial or residential rate on their property taxes. 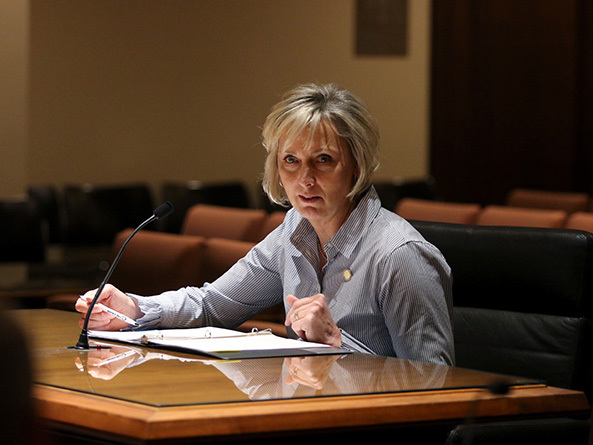 “I brought this bill because I felt that it would protect landowners as well as allow our cities to grow,” she said. Brian Newton, Fremont city administrator, testified in support of the bill. He said Fremont must currently plan streets and utilities around four “doughnut holes”—parcels of farmland that exist within the city’s limits but have not yet been annexed by the city. Landowners in those doughnut holes benefit from city services, such as fire and police protection, without having to pay property taxes to the city, Newton said. Fremont someday will annex those parcels to use for commercial and residential development, Newton added, but it has not done so because those farmers would lose their special valuation.